Scarlets in the aviary. 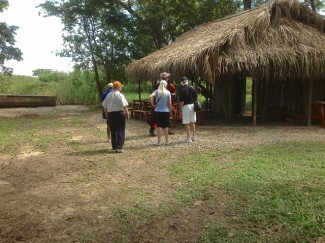 The birds were provided by ICF of Honduran Government. Also visible in the back are Mealy and Red Lored Amazons. 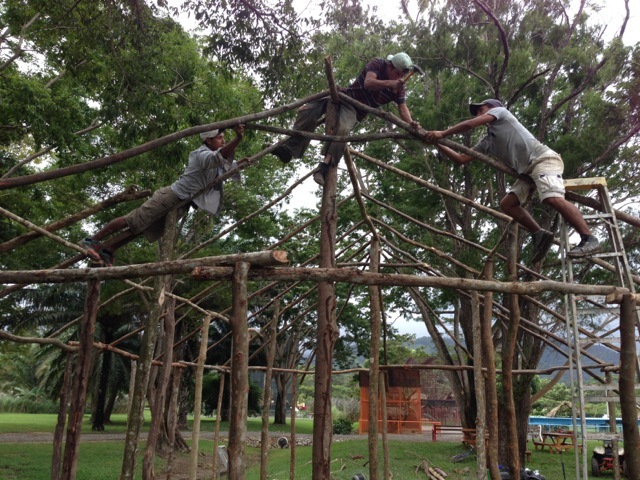 Every week we are making progress with our ecotourism project to repopulate Northern Honduras with Scarlet Macaws. The scarlet macaw from Honduras is a large bird with a broad yellow band across its wings with blue tips to the yellow feathers at the edge of the yellow band. 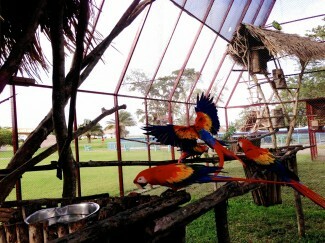 Very few Honduran scarlet macaws are seen in the US as pets. Scarlet macaws are mostly gone from Northern Honduras. Reports suggest that in the areas they remain, this year has been an especially bad year for nest poaching, with very few chicks being allowed to fledge before the nests are robbed. The goal of the project is to set up a self sustaining repopulation program while simultaneously expanding knowledge of the reintroduction process itself. 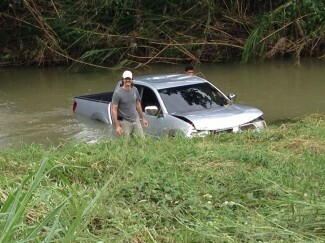 This project is in the early development stage. 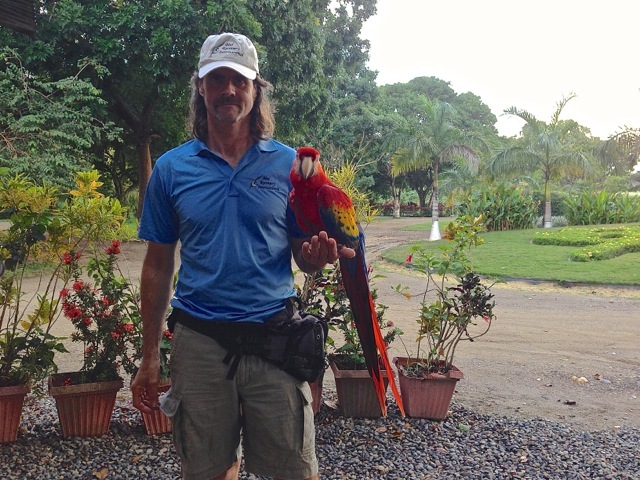 Chris Biro spent several months this winter in Honduras working with birds supplied by ICF of the Honduran government. 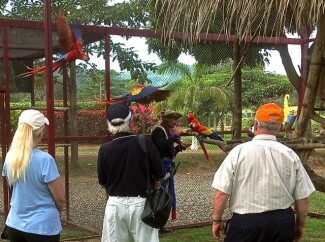 Our first goal is creating attractions with the birds for the cruise ship guests that visit weekly. Creating self funding operations is an important part of creating an effective self sustaining repopulation program. As funding develops, work will begin on building training and breeding facilities. 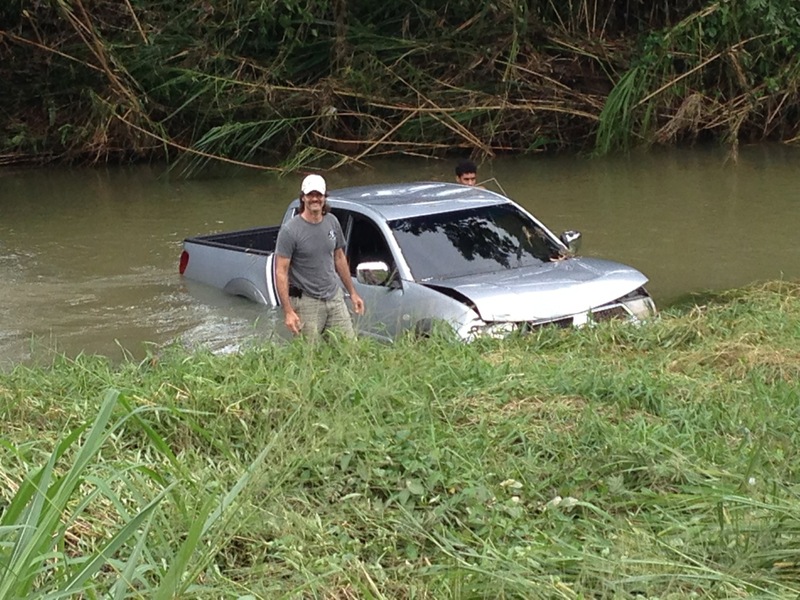 Chris Biro made the initial survey of the project site and met with project partners in Honduras in November 2013. Constance Woodman was on site October 2014 after attending a Honduran National Conference in Copan focused on preserving the scarlet macaw in Honduras. Constance established BRI as a founding coalition partner in the newly formed Apu Pauni Alliance, which in the Honduran Miskito language means Alianza Guara Roja, or Red Macaw Alliance. 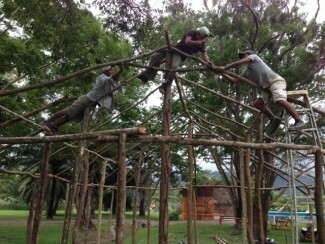 It is exciting to all of us at BRI to see work has begun in Honduras with these especially beautiful birds. There is a lot of work to be done to help protect these amazing animals. As we get our project up and functioning, we hope to participate in finding solutions to the problem of poaching of wild nests to help ensure higher fledging rates of babies from wild breeding pairs. We are continuing to source scarlet macaws for the breeding part of the project from sources that will not contribute to this problem of taking birds from the wild.